TerniEnergia – Page 13 – . : Italeaf Group – Innovation To Make The Change :. The Board of Directors of TerniEnergia, smart energy company active in the fields of renewable energy, energy efficiency, waste and energy management, listed on the Star segment of the Italian Stock Exchange and part of Italeaf Group, met today for the first time after the expansion from 7 to 9 members approved by the Shareholders’ Meeting. The Board of Directors in accordance with the Corporate Governance Code published by Borsa Italiana and following the changes that occurred in the components of the administrative body, made the self-assessment procedure, expressing positive judgment about the adequacy of its size, its composition, the type and variety of skills and experience as a whole, of its operation and and the one of the committees set up within the Company. The Board of Directors has also verified the existence of the independence requirements in accordance with the Code of Conduct for listed companies and the verification of the requirements of the regulations in force related to its components (in number of 9, 3 of which – Domenico De Marinis, Mario Mauro Molteni and Paolo Ottone Migliavacca – meet the requirements of independence pursuant to art. 148 ter of the TUF and those provided for by the Code of Conduct of Borsa Italiana SpA). The Board appointed Sergio Agosta as Director in charge of the Internal Control System and Risk Management. The Board of Directors proceeded to attribute responsibilities and powers to the new executive directors and the appointment of the director Umberto Paparelli to Vice President. • Management and development of the environmental and waste management plants in the industrial area of Nera Montoro (TR), the corporate system of safety and environmental protection related to the business line Cleantech. • Ordinary administration alongside the CEO Stefano Neri. The Shareholders’ Meeting of TerniEnergia, smart energy company active in the fields of renewable energy, energy efficiency, waste and energy management, listed on the Star segment of the Italian Stock Exchange and part of Italeaf Group, met today in ordinary session under the chairmanship of Mr Stefano Neri. The Shareholders’ Meeting, in perspective of the proof changes in the Company corporate structure and activities as a result of the acquisition of Free Energia Group and considering the strategical, managerial and organizational changing needs, approved to increase the number of the Board Directors from the current seven members to nine members, subject to the maximum limit of eleven members, set by the ByLaws, and proceeded to appoint as directors dr. Sergio Agosta and dr. Umberto Paparelli. Sergio Agosta was born in Novara in 1965. He served until 2013 as Director of the Energy Industrial Area of Acea SpA, coordinating the entire energy chain of Acea Group engaged in manufacturing, trading and sale of electricity and gas. From 2003 to 2009 he was the CEO of GME – Gestore del Mercato Elettrico SpA, a public company that manages the electricity markets. From 1994 to 2003 he was General Director of the Enertad Group, listed on the Milan Stock Exchange, one of the first Italian groups to operate in an integrated way in the supply chain waste-environment-production of electricity, operating successfully in Italy and abroad. During the period he was also the CEO of the TAD Holding Group. He was a member of the Board of Falck S.p.A. and Acciai Speciali Terni S.p.A.. 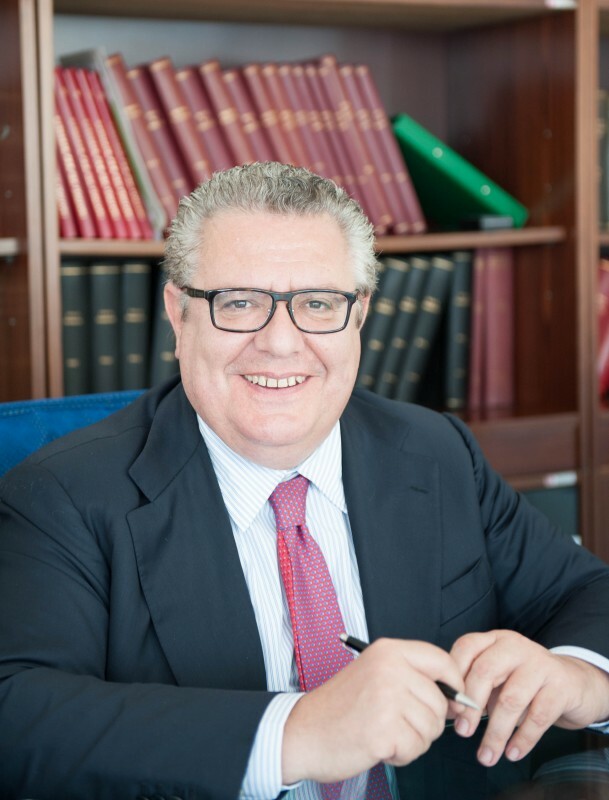 He was a Senior Associate M&A of the Law Firm NCTM – Negri Clementi, Toffoletto, Montironi e Associati in Milan, member of the team of the Legal and M&A Directorate of Akros Finance SpA. Degree in Law at the University of Milan, participated to the “Summer School” at the London School of Economics and to the “Advanced Executive Programme”, a specialized course general management for high-potential executives of the London Business School. Umberto Paparelli was born in Narni (TR) in 1953 and he is Chairman and CEO of Free Energia SpA. Since 2003 he has held the positions of Chairman and/or CEO in various companies, primarily in the energy sector, with whom he collaborated in development projects and reorganization and revitalization. From 2005 to 2010 he was Managing Director and General Manager of Scandolara SpA, a global leader in European primary packaging industry, taking care of internationalization (Russia, Switzerland and Slovakia) and managing the entry in the share capital of the company of a leading bank. From 1978 to 2003 he worked with increasing responsibility in the german multinational corporation SGL Carbon Group, initially in the Internal Auditing and Controlling, then at the top of Global Supply Chain Management and Personnel Management, becoming a member of the Management Committee. Degree in Political Science at the University of Rome “La Sapienza”, with post-graduate training in the years 1978 and 1979 in Information Systems (Siemens Data – Milan) and Planning and Control (SDA Bocconi – Milan). TerniEnergia, a company incorporated in September of 2005 and part of Italeaf Group, is the first Italian smart energy company and operates in renewable energy, energy efficiency, energy and waste management. TerniEnergia operates as system integrator, with a turn-key offer of industrial sized photovoltaic plants, on behalf of third parties and on its own, for the Power Generation business, also through joint venture companies with leading national players. TerniEnergia operates in the waste management sector, recovery of the material and energy, development and production of technologies. In particular, the Company is active in the recovery of tires out of use, in the treatment of biodegradable waste through the implementation of biodigesters, management of plant for the biological depuration; decommissioning of industrial plants, recovery of demolition metals and cleaning of industrial sites; development and production of technological apparatus. Through Free Energia, the Group is active in the energy management, energy sales to energy intensive customers, software and services for energy management, administrative, financial and credit management. TerniEnergia, through Lucos Alternative Energies, operates in the development of energy efficient plants both through EPC scheme and FTT scheme (Financing Through Third Parties), pursuing the objectives of increasing energy production from renewable sources, of energy saving and reduction of emissions as set forth by environmental European policy. 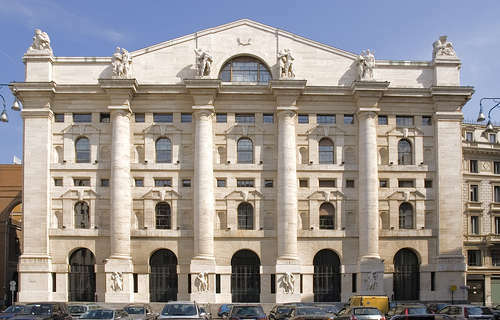 TerniEnergia is listed on STAR segment of Borsa Italiana S.p.A.. The Board of Directors of TerniEnergia, a smart energy company active in the fields of renewable energy, energy efficiency, waste and energy management, listed on the Star segment of Borsa Italiana and part of Italeaf Group, approved today the interim financial report as at September 30, 2014..
“The Group’s results for the third quarter confirm an underlying trend in line with the goals that we have anticipated to the financial community for the full year 2014, with an expected net profit of approximately Euro 6 million and the target of a reduction of the NFP of around a third. With the strategic repositioning of TerniEnergia Group, following the acquisition of Free Energia and the business development in the areas of energy management and the energy efficiency, we set and already started a new phase of growth as “smart energy company” with increasing opportunities in highly competitive markets. We are confident that this strategic approach is appropriate to produce positive effects regardind the industrial and financial results in the current context, helping to consolidate the positive end of the year”. The Net revenues amounted to Euro 32.4 million (Euro 45.9 million as at September 30, 2013) with a decrease in prevalence attributable to the drop of the revenues from photovoltaic EPC. The contribution of the environmental sector and the power generation activity, characterized by high margins and a long-term visibility, is equal to approximately 56% of total revenues in growth compared to the same period of 2013. Net operating income (EBIT) amounted to Euro 8.3 million (Euro 4.4 million as at September 30, 2013), an increase of 90%, after amortization amounted to Euro 5.9 million related to growth of the number of PV plant in full ownership (Euro 4.6 million as at 30 September 2013) and depreziations of intangible assets consist of licenses acquired in previous years for the construction of photovoltaic plants, for a total of Euro 1.1 million. Net income, that includes the share of profit generated from the activity of JV, amounted to Euro 6.3 million, benefiting of income tax resulting from the application of the so-called “Tremonti Ambientale” to certain subsidiaries holders of utility scale PV plants. Net income as at September 30, 2013 was Euro 6 million. The Net Financial Position amounted to Euro 155.6 million (Euro 135.2 million at 31/12/2013). The non-current net financial position is Euro 138.9 million, and includes the the bond issue carried out in February 2014. The short-term NFP is Euro 16.7 million (Euro 18.2 million as at 31/12/2013). The net equity amounted to Euro 55.4 million (Euro 53.9 million at 31/12/2013), while the Fixed Assets amounted to Euro 183.1 million, of which € 155.8 million related to tangible fixed assets. The short-term NFP/net equity ratio, equal to 0. 3x improves appreciably and constantly, consolidated in full security area. The total energy production of the full ownership and joint ventures plants for the power generation business, in the first half was equal to around 44 million kWh. For the full year 2014 it is estimated that the PV assets owned by the Company will ensure a production of over 60 million kWh. In the environmental sector are operating a treatment and recycle plant of end of life tires (ELTs), the GreenAsm biodigestion and composting plant and finally the groundwater remediation plant in Nera Montoro (TR). 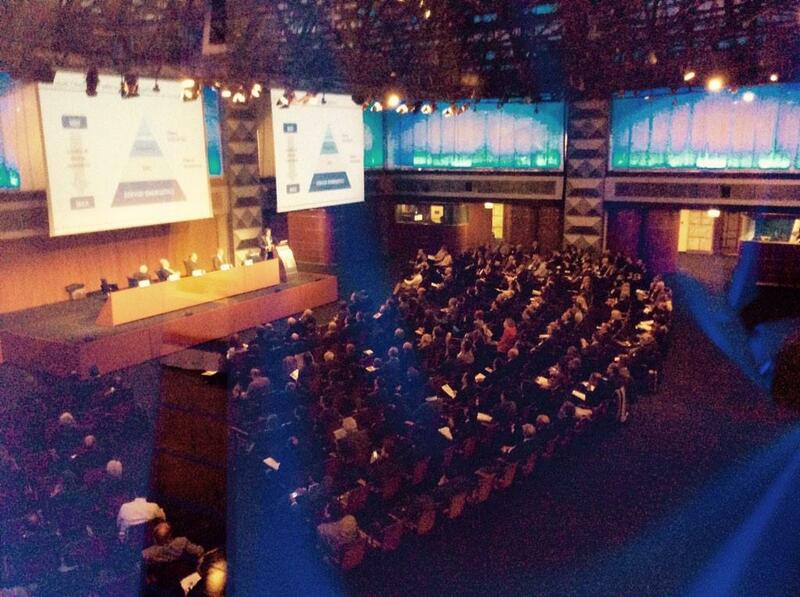 October, 11, 2014 – The Noteholders’ Meeting expressed the approval to the share capital increase of TerniEnergia SpA, with the exclusion of option rights pursuant to Article 2441, paragraph 4, of the Italian Civil Code which is reserved to the shareholders of Free Energia SpA, through the issuance of new ordinary shares up to n. 6,637,168 to complete the acquisition of 100% of Free Energia, a company engaged in the trading and energy efficiency. The General Meeting approved the amendments to the financial covenants provided pursuant to art. 8 (vii) of the Terms and Conditions of the Notes, to support the repositioning of the TerniEnergia Group’s business. October, 13, 2014 – The Shareholders’ Meeting approved the proposal of a capital increase with the exclusion of the option rights, reserved to the shareholders of Free Energia SpA, through the issuance of new ordinary shares up to n. 6,637,168 to complete the acquisition of 100% of Free Energia, a company active in the trading and energy efficiency sectors. The issue price of the new shares amounts to Euro 2.26 per share. Countervalue of the transaction amounts to Euro 15 million for 100% of the shares of Free Energia SpA. The Shareholders’ Meeting approved the buy-back plan. October, 17, 2014 – Pursuant to art. 144-bis, clause 3, Consob Regulation 11971/1999 (“Issuers’ Regulation”), TerniEnergia S.p.A. launched a share buy-back programme for a total of 2.656.720,ordinary treasury shares (6% of the share capital as it was before the share capital increase resolved by the extraordinary General Shareholders’ Meeting on 13 October 2014), as authorized by the Ordinary Shareholders’ Meeting held on 13 October 2014. The programme allows the Company to carry out investment operations and to set up of a pool of securities, directly or through intermediaries, as allowed by current legislation. October, 21, 2014 – Registered in the Companies Register the resolution to the capital increase for the acquisition of Free Energia SpA approved by the Extraordinary Shareholders’ Meeting on October 13, 2014. Subscribed to 96.63% the divisible share capital increase of TerniEnergia reserved to Free Energia S.p.A. shareholders, a company operating in the energy management and energy efficiency fields. In relation to the capital increase, Free Energia’ shares were conferred for a number equal to 96,63 % of the share capital of the company in order to finalize the transaction. October, 31, 2014 – TerniEnergia disclosed the evolution of the strategic lines, towards the new Strategic Plan post-Acquisition of Free Energia SpA,, to the Italian financial community. The presentation took place in Milan, in Borsa Italiana, during the workshop “Smart to restart industry” organized by Italeaf Group, holding company and the first Italian company builder, main shareholder of TerniEnergia. The Group aims to maintain a solid financial balance and confirms a dividend policy-oriented to the shareholder remuneration. The target net income for the current year is approximately EUR 6 million. TerniEnergia has confirmed its intention to reduce the NFP in the current year (2014) by around a third. The development of a new organizational structure will be based on 4 business lines: Technical Services, Cleantech, Energy saving and Energy management. The global market for photovoltaic and environmental sectors is characterized by a global high growth of investments and demand. As regards the internal market, it is published in the Italian Official Gazette the operating decree for the so-called “Spalma-Incentivi”, for PV systems over 200 kW. TerniEnergia, while confirming the profitability of the owned PV plants, has decided to take legal action to bring out the principles of unconstitutionality of the law and protect the interests of the Company and its shareholders. The Group also intends to pursue a policy of enhancement of the portfolio plants, maintaining their management, seizing the opportunities guaranteed by the secondary market and the objective of a reduction of the NFP by around a third during the year. In the photovoltaic sector, TerniEnergia will continue to pursue growth in installed capacity, looking at those markets with stable regulatory systems and high economic growth. In addition, the Group is constantly looking for new opportunities in countries with high potential for reliability, increasing the geographic diversification of its operations. Regarding the order backlog in South Africa, for an amount of approximately Euro 147 million, the Group is awaiting the decision of the South African authorities for the opening of the sites. The Company also continues to monitor the progress of the so-called IV BID phase of the South African government, that includes the construction of eight photovoltaic plants with a total capacity of over 500 MWp, in which TerniEnergia been identified as EPC contractor for a further two potential orders. In the short term, the Group – as a result of the acquisition of Free Energia SpA, active in energy management field with 1.3 TWh of electricity delivered to customers energy-intensive and/or consolidated re-sellers – will start the integration completing downstream the energy value chain, resulting in increased revenue and diversification of the business. With the development of the activities of Lucos Alternative Energies, the integration of the new activities will potentially strong synergies and business opportunities, which will be the basis for a strong growth in energy efficiency and the enhancement of power generation from renewable sources. TerniEnergia, with the goal of creating the first Italian industrial “Smart energy company”, will pursue the development of the organizational structure through 4 functional business lines: Technical Services; Cleantech; Energy saving; Energy management. 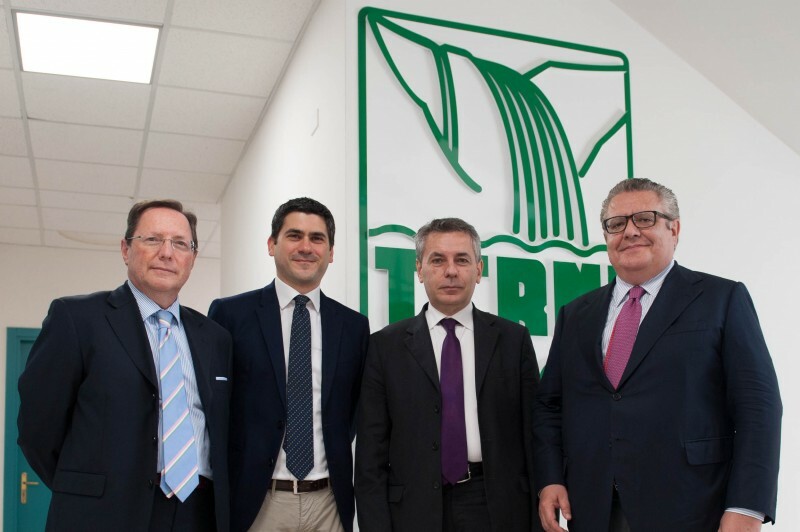 The Company will also continue the process of strengthening the scope of the environmental asset, completing a new facility for the treatment and recovery of “secondary raw material” from end of life tires in Northern Italy, at Borgo Val di Taro (PR). Finally, it is completed the process of environmental impact assessment (VIA) for the new treatment plant of industrial waste fluids in Nera Montoro (TR), for which consequently is upcoming the release of the Integrated Environmental Authorization (AIA). The Board of Directors of TerniEnergia stated favorably about the value audit, pursuant to art. 2343-quater of the Italian Civil Code, referred to the transfer of the shares of Free Energia SpA received as a coverage of the share capital increase of TerniEnergia. In particular, the Board has approved the report stating that in the period following the execution of the Shareholders’ Meeting of October 13, 2014 which approved the capital increase by contribution in kind, there have been no exceptional circumstances that have affected the price of the shares contributed in a way that significantly change the value of such assets at the date of registration of the resolution referred above. The Council also expressed a favorable opinion on the requirements of professionalism and independence of the expert who made the evaluation in accordance with the art. 2342-ter, second paragraph, of the Italian Civil Code. The Board of Directors, finally, in perspective of the proof changes in the Company corporate structure and activities as a result of the acquisition of Free Energia Group and considering the strategical, managerial and organizational changing needs, approved to propose to the Shareholders’ Meeting the increase of the number of the Board Directors from the current seven members to nine members, subject to the maximum limit of eleven members, set by the Articles of Association. The Board granted to the Chairman Stefano Neri the authority to proceed to convene an Ordinary Shareholders’ Meeting, taking into account the mode of appointment prescribed by law and the Articles of Association, to vote on increasing the number of directors and proceed to their appointment, to fix the term of their office and the related remuneration. The Board of Directors has shared an indication as candidates for executive directors of dr. Sergio Agosta and dr. Umberto Paparelli. Umberto Paparelli was born in Narni (TR) in 1953 and he is Chairman and CEO of Free Energia SpA. Since 2003 he has held the positions of Chairman and/or CEO in various companies, primarily in the energy sector, with whom he collaborated in development projects and reorganization and revitalization. From 2005 to 2010 he was Managing Director and General Manager of Scandolara SpA, a global leader in European primary packaging industry, taking care of internationalization (Russia, Switzerland and Slovakia) and managing the entry in the share capital of the company of a leading bank. From 1978 to 2003 he worked with increasing responsibility in the multinational corporation SGL Carbon Group, initially in the Internal Auditing and Controlling, then at the top of Global Supply Chain Management and Personnel Management, becoming a member of the Italian Board of Directors. Degree in Political Science at the University of Rome “La Sapienza”. TerniEnergia, a company incorporated in September of 2005 and part of Italeaf Group, is the first Italian smart energy company and operates in renewable energy, energy efficiency, energy and waste management. TerniEnergia operates as system integrator, with a turn-key offer of industrial sized photovoltaic plants, on behalf of third parties and on its own, for the Power Generation business, also through joint venture companies with leading national players. TerniEnergia operates in the waste management sector, recovery of the material and energy, development and production of technologies. In particular, the Company is active in the recovery of tires out of use, in the treatment of biodegradable waste through the implementation of biodigesters, management of plant for the biological depuration; decommissioning of industrial plants, recovery of demolition metals and cleaning of industrial sites; development and production of technological apparatus. Through Free Energia, the Group is active in the energy management, energy sales to energy intensive customers, software and services for energy management, administrative, financial and credit management. TerniEnergia, through Lucos Alternative Energies, operates in the development of energy efficient plants both through EPC scheme and FTT scheme (Financing Through Third Parties), pursuing the objectives of increasing energy production from renewable sources, of energy saving and reduction of emissions as set forth by environmental European policy. • Net income for 2014 expected to around Euro 6 million. TerniEnergia SpA, active in the fields of renewable energy, energy efficiency, waste and energy management, listed on the Star segment of Borsa Italiana and paart of Italeaf Group, disclosed today the evolution of the strategic lines, towards the new Strategic Plan post-Acquisition of Free Energia SpA,, to the Italian financial community. 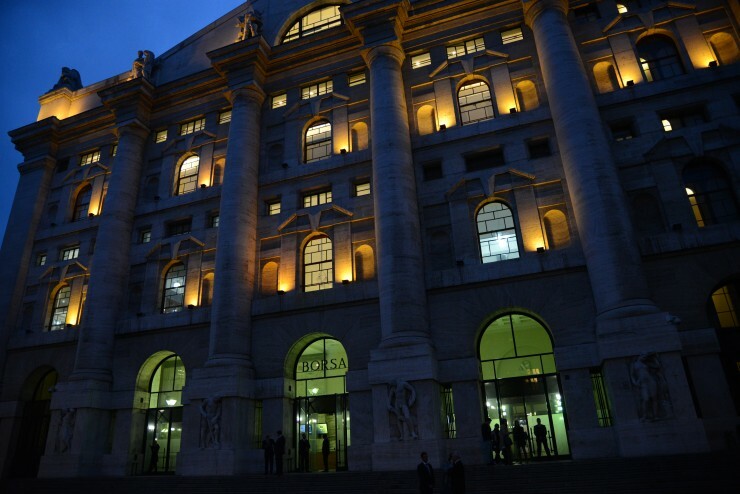 The presentation took place in Milan, in Borsa Italiana, during the workshop “Smart to restart industry” organized by Italeaf Group, holding company and the first Italian company builder, main shareholder of TerniEnergia. The Chairman and CEO of TerniEnergia, Stefano Neri, announced that in 2014, the Group aims to maintain a solid financial balance and confirms a dividend policy-oriented to the shareholder remuneration. The target net income for the current year is approximately EUR 6 million. TerniEnergia has confirmed its intention to reduce the NFP in the current year (2014) by around a third. Cleantech – Efficient management of energy and materials recovery plants from waste and marginal resources (biodigestion and pyrogasification, ELT treatment, water remediation) and start of new business of management of vegetable oil burning power plants and trading of vegetable oil. Energy saving – Solutions for Energy Efficiency in the lighting and industrial sectors with highly innovative technologies, Esco (through third party financing) and Espco (EPC and consulting) through the Lucos Alternative Energies subsidiary, directly managed by Free Energia (Pierluigi Cernieri Umberto Paparelli and Salvatore Pelleriti). Energy management – Sales of Energy to energy intensive customers, software and services for energy management, administrative, financial and credit management. TerniEnergia, a company incorporated in September of 2005 and part of Italeaf Group, operates in renewable energy, energy efficiency, energy and waste management. TerniEnergia operates as system integrator, with a turn-key offer of industrial sized photovoltaic plants, on behalf of third parties and on its own, for the Power Generation business, also through joint venture companies with leading national players. TerniEnergia operates in the waste management sector, recovery of the material and energy, development and production of technologies. In particular, the Company is active in the recovery of tires out of use, in the treatment of biodegradable waste through the implementation of biodigesters, management of plant for the biological depuration; decommissioning of industrial plants, recovery of demolition metals and cleaning of industrial sites; development and production of technological apparatus. TerniEnergia, through Lucos Alternative Energies, operates in the development of energy efficient plants both through EPC scheme and FTT scheme (Financing Through Third Parties), pursuing the objectives of increasing energy production from renewable sources, of energy saving and reduction of emissions as set forth by environmental European policy. Through Free Energia, the Group is active in the energy management, energy sales to energy intensive customers, software and services for energy management, administrative, financial and credit management. TERNIENERGIA: the Board of Directors approves the proposal of a capital increase with the exclusion of the option rights at the service of the acquisition of Free Energia S.p.A. The Board of Directors verified the requirements of independence and professionalism of the expert appointed to write the appraisal report, dr. Luigi Tardella, partner of Ambers & Co. The Board of Directors of TerniEnergia SpA, a company active in the fields of renewable energy, energy efficiency and waste management, listed on the Star segment of Borsa Italiana, with reference to the press release dated August 4, 2014, has approved today the proposal to the Extraordinary shareholders’ Meeting of a capital increase, with exclusion of the option rights, reserved to the shareholders of Free Energia SpA, for the acquisition of Free Energia, pursuant to the art. 2441, paragraph 4, of the Italian Civil Code. The Chairman and CEO of TerniEnergia, Mr Stefano Neri, stated: “Thanks to this transaction, TerniEnergia takes another step towards the establishment of one of the most important independent Italian group into the smart energy sector, active in the integrated business of renewable energy, energy efficiency and waste management. The extraordinary Shareholders’ Meeting and the Bondholders Meeting will be convened in the first half of the month of October 2014, to give the green light to the acquisition of Free Energia”. Share capital ncrease The capital increase in tranche will be subscribed through contribution in kind, with the exclusion of option rights, through the issue up to no. 6,637,168 of new no par value ordinary shares. The proposed issue price is equal to Euro 2.26 per share, of which Euro 1.26 per share by way of premium. Following the capital increase, the share capital of TerniEnergia will be, therefore, from Euro 50,529,680 to a maximum of Euro 57,166,848. The capital increase may be paid up by the contribution of n. 3,375,152 shares, representing 100% of the share capital of Free Energia SpA, or representing a lesser percentage if it were transferred a smaller number of shares of Free Energia, on the understanding that the contribution will concern shares for at least a percentage equal to 93.52% of the share capital. Consequently, will be assigned to the subscribers at least n. 6,207,080 shares, attributable to each Free Energia shareholder in proportion to the shares the same transferred. Following this transaction, the Shareholders of Free Energia, due to the shares of TerniEnergia they will receive in exchange for the contribution in kind, will hold a cumulated market share of about 15% of the share capital of TerniEnergia post-share capital increase. To determine the issue price, the Board of Directors of TerniEnergia has relied on the advice of Power Capital, as financial advisor. The price proposed by the Board for each newly issued share, equal to euro 2.26, is higher than the net book value per share of the Company and also is higher than the weighted arithmetic average of the share price of the last semester. The transaction is subject to a number of conditions precedent, including the positive pronouncement of some subjects such as banks and bondholders of the Company, the resolution by the extraordinary Shareholders Meeting of TerniEnergia of the capital increase to subscribe through the transfer of the newly issued shares, the authorization by Consob to publish a prospectus for listing of the Shares to be issued by TerniEnergia. The conditions precedent have to occur before December 31, 2014. Reasons for the transfer, expected benefits and impacts on the management programs of TerniEnergia The reasons for the transaction can be summarized as follows: – Downstream integration of the energy value chain of TerniEnergia with the new business of energy trading, towards electric consumer customers and consolidated re-sellers, and of smart energy services, that are growing rapidly and with considerable development opportunities. These new activities will be added to those of photovoltaic power generation, guaranteed by the assets owned by TerniEnergia, and the industrial scale energy efficiency, through the subsidiary Lucos Alternative Energies; – Integration among the electric utility industry and the digital one; – Entry into the promising market of the management and sale of services to vegetable oil burning power plants sector, in which Free Energia aims to achieve a national leadership. In particular, the choice to proceed with a capital increase by contribution in kind, is dictated by the following reasons of convenience: – No cash payment for TerniEnergia; – implementation of financial and operational synergies to start a new growth strategy, focused on developing highly complementary business between TerniEnergia and Free Energia. Report pursuant to art. 2441, comma 6, of the Italian Civil Code The report of the Board of Directors prepared pursuant to art. 2441, comma 6, of the Italian Civil Code, and to the articles 70, comma 3, 3 and 125-ter of CONSOB Regulation 11971/99, together with the report of the independent expert in charge of the evaluation of Free Energia SpA share value and the opinion of the independent auditors PricewaterhouseCoopers SpA on the fairness of the issue price of the shares, will be made available to shareholders accordance with the law. Requirements of independence and professionalism of the expert responsible to evaluate the shares of Free Energia SpA subject to transfer in the share capital of TerniEnergia following the related share capital increase The Board of Directors of TerniEnergia conducted the assessment on the existence of the requirements of independence and adequate and proven professionalism of dr. Luigi Tardella, partner of Ambers & Co., as the person in charge of the transferring company Free Energia SpA, for the evaluation of estimation of the share transferred as part of the acquisition of Free Energia referred to the Investment Agreement signed in August 1, 2014. The assessment by the Board of Directors concluded with the confirmation of the existence of the requirements of independence and adequate and proven professionalism of that expert, pursuant to art. 2343-ter, comma 2, letter. b) of the Italian Civil Code. Calling of the Bondholders’ Meeting The Board of Directors has determined to give mandate to the Chairman and Chief Executive Officer, Mr. Stefano Neri, to call the Bondholders’ Meeting, pursuant to art. 12 of the Bond TerniEnergia 2019 Regulations, to vote on the approval of the acquisition of Free Energia. Calling of the Ordinary and Extraordinary Shareholders’ Meeting of TerniEnergia The Board of Directors has determined to give mandate to the Chairman and Chief Executive Officer, Mr. Stefano Neri, to call the Extraordinary Shareholders’ Meeting of of TerniEnergia to decide on the the share capital increase for the acquisition of Free Energia. The Board of Directors has determined to give mandate to the Chairman and Chief Executive Officer, Mr. Stefano Neri, to call the Ordinary Shareholders’ Meeting to vote on the plan for the purchase of own shares (buy-back), already approved by the Board on March 31, 2014. This press release is also available on the Company’s website:www.ternienergia.com. TerniEnergia, a company incorporated in September of 2005 and part of Italeaf, operates in renewable energy sector and is active in the photovoltaic field. TerniEnergia operates as system integrator, with a turn-key offer of industrial sized photovoltaic plants, on behalf of third parties and on its own, for the Power Generation business, also through joint venture companies with leading national players. TerniEnergia operates in the waste management sector, recovery of the material and energy, development and production of technologies. In particular, the Company is active in the recovery of tires out of use, in the treatment of biodegradable waste through the implementation of biodigesters, management of plant for the biological depuration; decommissioning of industrial plants, recovery of demolition metals and cleaning of industrial sites; development and production of technological apparatus. TerniEnergia, through its controlled company Lucos Alternative Energies, operates in the development of energy efficient plants both through EPC scheme and FTT scheme (Financing Through Third Parties), pursuing the objectives of increasing energy production from renewable sources, of energy saving and reduction of emissions as set forth by environmental European policy. 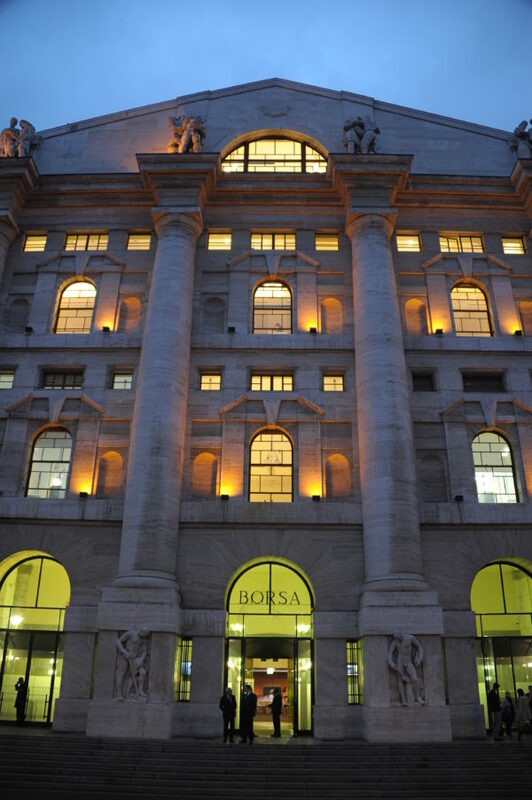 TerniEnergia is listed on STAR segment of Borsa Italiana S.p.A..